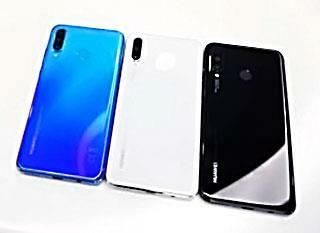 Huawei P30 Lite is a Smartphone that focuses mainly on the young generation, where the phone is very much focused on cameras, especially the front-facing camera, where it comes with 32 mega pixel AI selfie camera, which will not be found in any other competitor phone at the same price. Let us know the full specifications of the phone Huawei p30 lite and what are the advantages and disadvantages is it worth buying or not?! The phone is also known as Nova 4e. The phone comes in dimensions of 152.9 x 72.7 x 7.4 mm, and its weight of 159 grams with solid glass manufacturing materials. 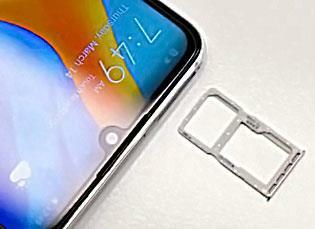 The phone supports two Nano SIM slots and comes with a Hybrid SIM slot. The phone supports 2G, 3G and 4G networks. The screen type comes in the IPS LCD 6.15 inches and the quality of FHD + 1080 × 2312 to be the density of pixels by 415 pixels per inch and the screen supports multi-touch up to 10 points. The processor comes from Huawei's own Hisilicon Kirin 710 with 12nm technology. The processor is divided into two units. The first unit comes with four 4x Cortex-A73 2 .2 GHz and the second unit comes with 4x Cortex A53-1.7GHz. The graphics come from the Mali-G51 MP4 with enhanced gaming performance. The GPU Turbo 2.0 is the same as the Honor 8X , Honor 10 Lite, Nove 3i and Y9 2019. It comes with 128GB internal Storage with 4 GB of RAM. - The phone supports the possibility of increasing the storage space through a memory card up to 512 GB and is placed in the second slot. The rear camera comes with a tri-camera and comes prominently from the back of the phone. The first 24-megapixel camera comes with the F / 1.8 wide-angle lens slot and the second camera comes with 8 megapixels Ultra Wide Angle Lens, 2-megapixel Bokeh Lens and in addition it has single LED flash and supports continues shooting. The front camera comes with a 32 megapixel camera with an F / 2.0 lens slot. The phone supports 1080-pixel FHD video capture at 30 frames per second. The phone supports a secondary microphone that isolates noise while talking, shooting, or recording and is located at the top of the phone next to the two-way port. The phone supports Wi-Fi at a / b / g / n / ac frequencies as well as support for Dual-band, WiFi Direct, hotspot. The phone supports Bluetooth 4.2 and supports A2DP, LE, aptX HD. GPS supports GPS, A-GPS, GLONASS, Beidou. The USB port comes from the latest Type C type and the OTG phone is also supported. The phone still supports the 3.5 mm earphone port and is at the bottom of the phone next to the USB port. 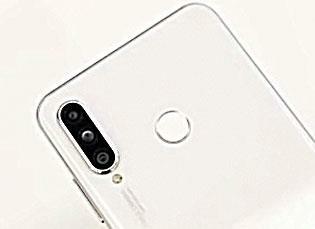 Safety features in the phone the fingerprint sensor comes in the back of the phone as well as its support for the Face Unlock feature. It also supports most other sensors such as the accelerometer, proximity sensor, compass and gyroscope of VR virtual reality sensors. The battery comes with a capacity of 3340 mAh and supports the 18W high-speed charging battery and the company announced that the battery is fully charged within an hour and 45 minutes. The phone comes with the latest operating system where it comes with Android 9.0 Pie with Huawei interface EMUI 9.0.1. The phone is available in many colors and is available in black, white and blue. You cannot use two SIM cards and a Memory card simultaneously. There is no protection layer of any kind on the screen; the company has not officially announced it. The battery could have been larger to suit the competition or at least the same capacity as the Honor 8X or the Y9 2019 but Huawei maintained a lightweight and thin low battery capacity in P30 Lite phone, and generally the battery provided about 5 hours and a half open screen. The screen size is small but this is to be a small size phone and suitable for fans of smaller phones. The phone didn't get an attractive offer to suit the new competition phones now. The phone supports the notification bulb but its light is weak. Light weight with a few little signs of an excellent grip in the hand. The design is very chic with new reflections in the back especially in the oblique blue color of the pancreas. Excellent manufacturing durability of glass with metal rim. The screen gives satisfactory performance in different lighting conditions. Type C Port unlike the Micro USB located in the Oppo F11 Pro. The edges and the Notch are excellent compared to their previous Huawei P20 Lite phone.